Alright, so another exciting week has come to an end. I knew from the beginning that this experience would pass quickly, but I never imagined that it would be this fast! This weekend I drove home in order to see my parents. They had many questions for me ranging from work to extracurricular activities and many more. Furthermore, in those few hours that I spent alongside my family this weekend, I was able to answer many of their questions/concerns, but one thing that I assured them was that it has been a marvelous experience. My research experience at NIST is becoming clearer to me with each passing day. I am able to articulate my project with confidence, and whenever people ask me, “What exactly are you doing?” I can quickly respond with, “I am conducting 3D simulations on COMSOL of various techniques of Scanning Probe Microscopy (SPM).” With that being my opening remark, most people look at me and simply respond with something quick such as cool, nice, or sweet. These responses I receive from the vast majority of people, because they do not understand the lingo, nor are they interested in knowing what it is. Nonetheless, the people who are more scientifically inclined are eager to know more about the project, and quickly solicit further information. I enjoy talking with the people who want to know more, because it gives me the opportunity to talk more about myself, and who does not like talking about themselves right? Therefore, as the summer progresses, I wish to obtain good results so that I can have the opportunity to speak highly of this project. I know that I always dedicate a segment of my blog to the weekly social, but that is due to the fact that they have been outstanding. I never thought that those men who sit in the Senate or the House of Representatives had a life outside politics. Whenever one thinks of these men and women, C-SPAN automatically comes to mind (at least for me it does). Additionally, everyone knows that C-SPAN is not exactly known for providing entertainment. 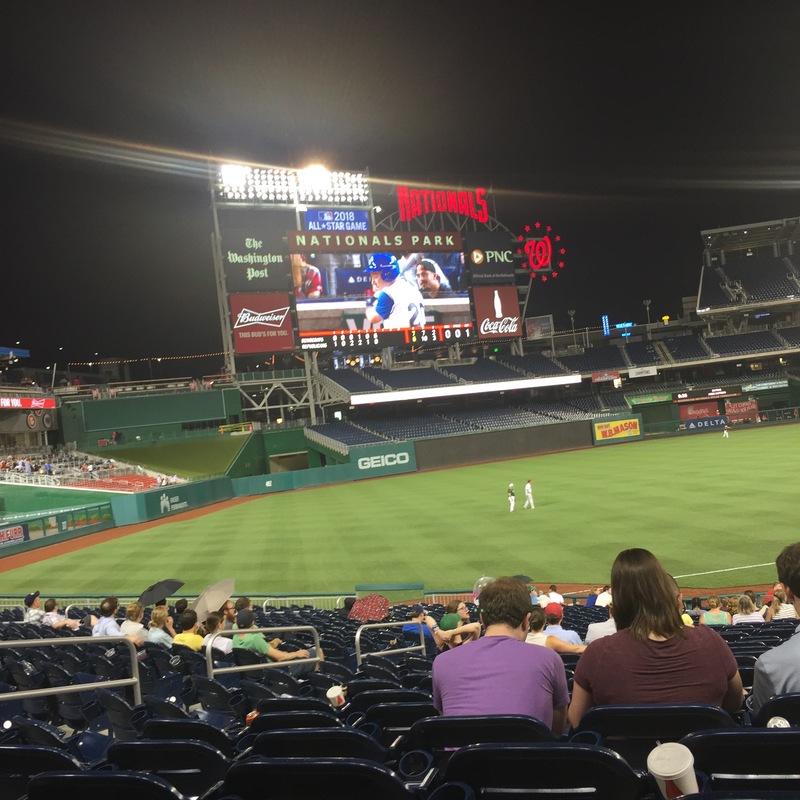 I did not imagine that these individuals would go out to Nationals Park and participate in America’s favorite pastime, the great sport of baseball! I immediately used Snapchat to notify my closest friends of the event. Most of the answers I received were short and sweet, but my close buddy was astonished to find out about this. He was as surprised as I was on the first day that I was informed of such an event. I would like to applaud all the people who participated in the Congressional Baseball Game, I am glad these individuals were able to put on a exhibition match for the American people, and also remind us that they are just as human as we are and enjoy playing a friendly game of catch from time to time. Well, I think that I have pretty much said all that I can for this blog, plus the final of the Copa America Centenario is about to begin. Argentina vs. Chile, I wonder who will win, I would like to see Messi finally lift a trophy with his national team. Regardless, I just want to see a great game between these two very impressive squads, and let the best team win!